1927 – 1100 block of S. East Street looking north from Morris Street. Photo courtesy of IUPUI University Library, Indianapolis Power & Light Co. Distribution System Photographs loaned by Dee Dee Davis. 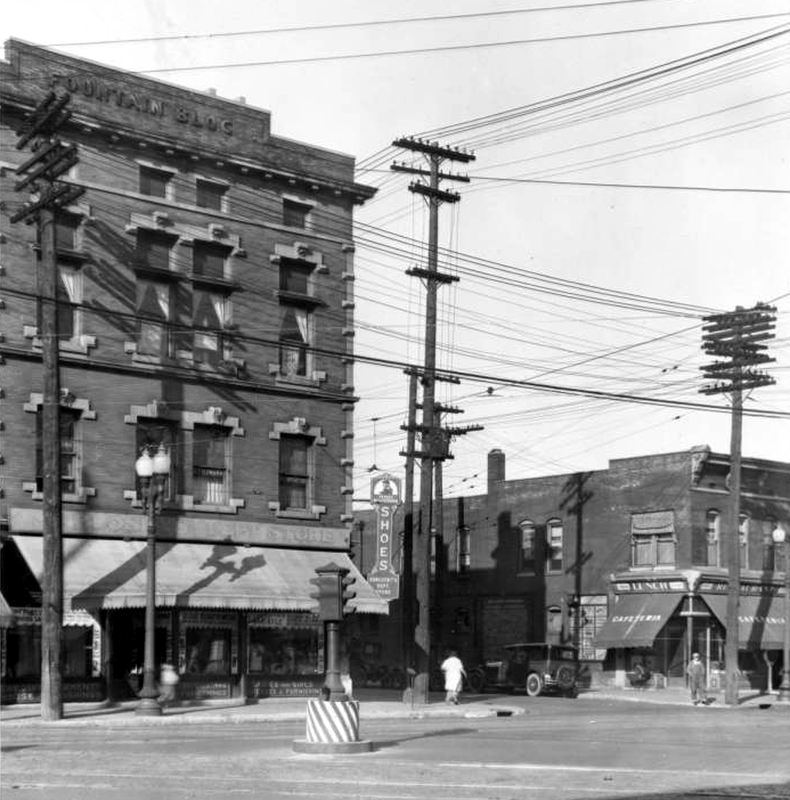 Nothing survives today in the 1100 block of South East Street between Prospect and Morris Streets, but fortunately Indianapolis Power & Light Company documented the area in 1927 and again in 1935 when the company updated electrical poles. Children played and a couple walked on the sidewalk in the mixed commercial and residential block in this 1927 photograph. A directory of the era shows that the east side of the block included Polar Ice & Fuel Company (located in a former cottage), the office of Dr. Gustav Petersdorf attached to James L. Simmons’ Drug Store, William F. Baase barber shop, Richard O. Gaertner shoemaker, and the homes of Nancy J. Winters, Henry F. Hauser, Buford M. Wren, and Henry W. Weber. 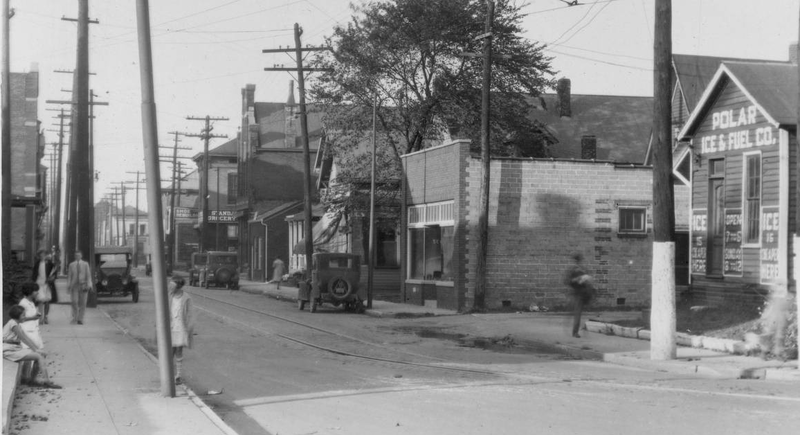 Note the trolley tracks curving north on East Street. 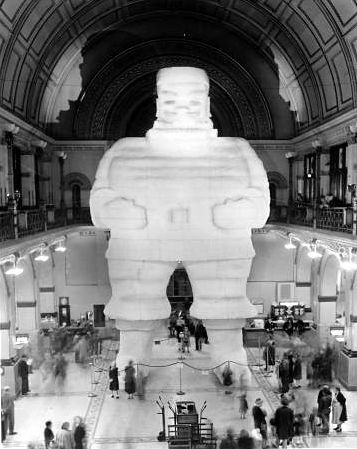 Zoom in on the image at IUPUI’s Digital Collections to see more details. 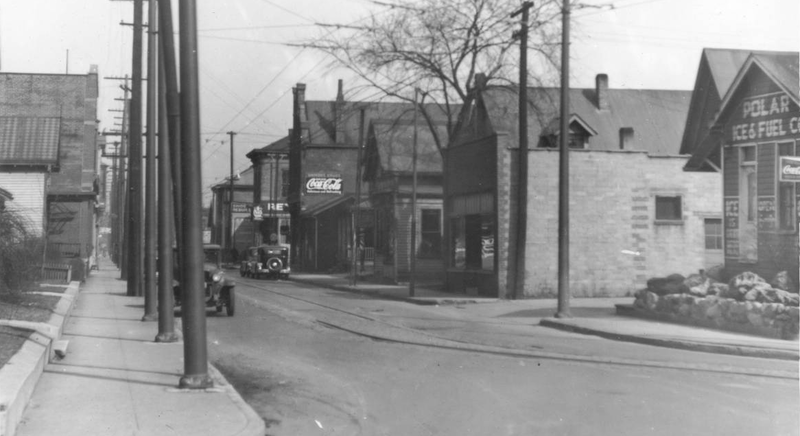 1935 – 1100 block of S. East Street looking north from Morris Street. Photo courtesy of IUPUI University Library, Indianapolis Power & Light Co. Distribution System Photographs loaned by Dee Dee Davis. Architecturally, not much had changed by 1935, other than the primitive-looking stone fence in front of Polar Ice and the new and closely-spaced electricity poles on the west side of the street.. 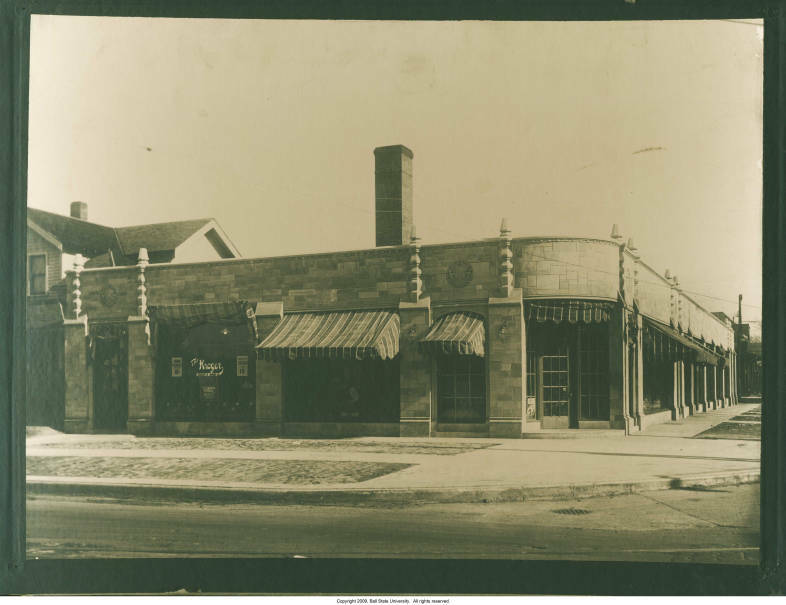 The brick building with the Coca-Cola sign (1101 S. East St.) was the location of the first John A. Hook drug store, fondly remembered as Hook’s Drugs with hundreds of stores operating throughout the Midwest until the 1990s. Zoom in on the image at IUPUI’s Digital Collections to see more details. Today, the yellow house to the far left is the only building that survives from the 1927 view. Most of the houses and businesses in the 1100 block were demolished prior to the mid-1900s and East Street was widened. Today, the block is part of the Bates-Hendricks Neighborhood. PreviousWTH: How Lowes Can You Go? I had a paper route in the early 60’s that went from Morris St to McCarty St. I remember a very narrow cement median with street lights on it in the center of East from Morris all the way past Stevens (Holy Rosary). East St narrowed South of Prospect (like today). 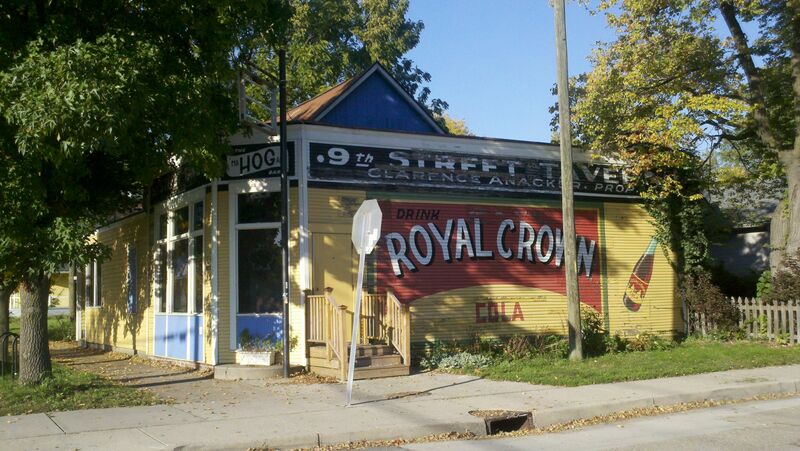 The houses and taverns I delivered papers to on East seemed to have been part of the street scape for a long time. Is there a chance that these views actually are looking South on East? I believe East St ended at Morris St. and going futher South the street was named Japan St. I might be wrong about this. The name change might have been about the time Coburn St became Prospect St.